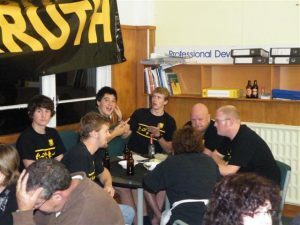 The formation of the WBHS Old Boys' Association Endowment Trust was initiated in 2009. The purpose was to establish a fund to take the place of the existing WBHS Foundation whereby Old Boys could build up a fund to create some sort of legacy for the future of not only the School but also the Association. To foster the pursuit and advancement of high educational standards for pupils of Whangarei Boys’ High School. To support, assist and advance the aims and objects of the Whangarei Boys’ High School Old Boys’ Association Incorporated so long as this Association remains a recognised charitable organisation in accordance with New Zealand Law. The Trust is to be administered by Trustees who are appointed by the Association. The Trustees appointed JBWere Ltd to manage the investment of the funds deposited into the Trust. The starting balance was $150,000.00.